Just because your state may have passed Recreation Marijuana laws, it doesn’t mean employers aren’t still conducting regular drug tests for that and other drugs. In most companies that require drug testing, the use of marijuana medically and recreationally, will disqualify you for the job. Even with Medical Marijuana, you may want to consider the impact of the use and plan accordingly when it comes to your job search and continued career advancement. Here are some thoughts to keep in mind. Medicinal marijuana, which is also allowed in the states where recreational is legal, is in more places. This means that users have to have a card that allows them a prescription to obtain the drug from dispensaries. States allowing medical marijuana are. The most interesting thing to note is that in spite of marijuana being legal for either recreational or medical use at the state level in various places, the federal government does not recognize or protect individuals who possess or use the drug. According to the Controlled Substances Act, Marijuana is still recognized as a Schedule 1 drug, which has a high potential for abuse and addiction. Even with this discrepancy, it is highly unlikely that a medical marijuana user will be penalized for possession. Even though marijuana is legal in many states, companies do not have to dismantle their drug-free workplace policies. That said, before considering either using the drug for medicinal purposes or recreationally on the weekend, make sure you understand your company policies. In states where medicinal marijuana is legalized, considering meeting with your boss or immediate supervisor and discuss the circumstances around your prescription. While employers are not mandated to relax their workplace drug policies, for specific situations and circumstances exceptions can be made. 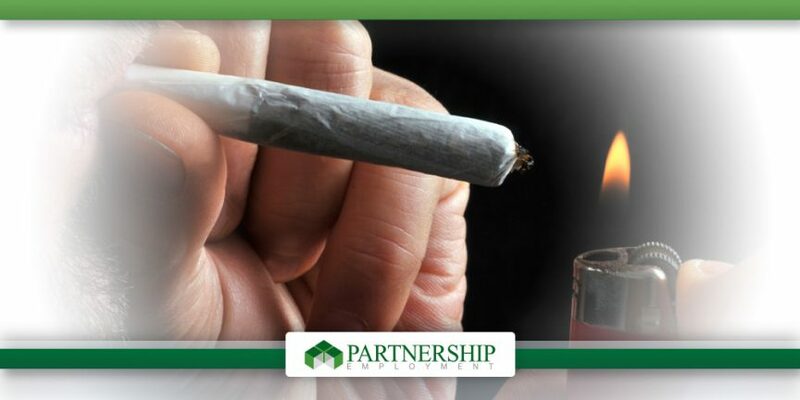 Being upfront with your employer, in private, can make sure you are both on the same page when it comes to marijuana usage. We take staffing to the next level by setting new standards of excellence for both the quality of our candidates and customer service expectations. We pride ourselves on our ability to consistently deliver the right candidate to satisfy your needs, on-time and ready to work .View our available job opportunities, or contact us today to learn about the benefits of partnering with our team as you strive for career advancement in 2016.